Recently I added a Godox XT16 transmitter and some XTR16s receivers to my Godox V850 Ving hotshot / speedlite manual flashes. Basically, I replaced my PocketWizard Plus Xs. Thought I’d write a little review. I’m splitting this review into two, more manageable chunks, since I seem to be failing at brevity. Godox, who may or may not also be Neewer and whose products are rebranded by Adorama (as Flashpoint) and others, is a Chinese manufacturer of relatively cheap but quite modern and fairly good quality lighting equipment. Godox now have a really nice range of equipment, and some seem to feel this is where they are edging ahead of their competitors. In terms of light sources, as well as several series that meet the needs of mains powered high power studio photography and their portable, on site equivalents, and several series of lower / standard power speedlite or hotshot flashes (i.e. 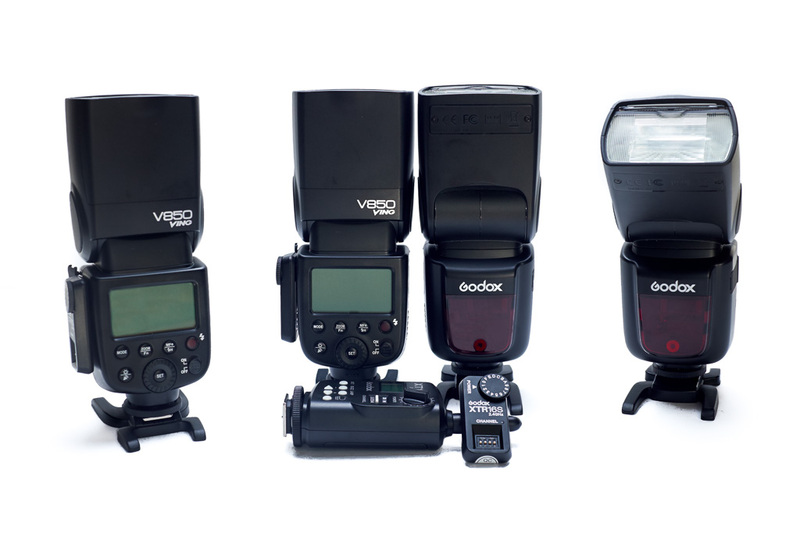 basically what most other manufacturers offer), Godox also has the interesting Wistro series of medium powered flash units – basically, bare bulb hotshot flashes powered by battery packs. Along with light units, Godox offers an extensive range of fairly cheap light modifiers. Keeping track of what is on offer and how various models differ is a bit of a headache however. Their website is not so logically laid out in terms of product listings and often items seem to be missing from these listings. Added to this, Goddox / Neewer light modifying products (and the sellers themselves) seem to come and go quite frequently on places like Amazon. I suspect that the modifier arm of the business might more closely reflect what we might term as the more flexible nature of supply / demand / manufacture that for many stereotypes modern Chinese production. I am a really big fan of the Cheetah QBox24 I should add, which seems to have been designed in conjunction with and to be manufactured by Godox, at least as far as I can tell. Flash Havoc hints that Godox might be a good place to start for those first getting into lighting, as their various systems are largely cross compatible and play nicely together if / when you might want to expand – something that not all (any?) other reasonably priced manufacturers can claim. Anyway, the somewhat oddly named Ving series is a range of speedlite / hotshot flash units that come in plain old manual (Ving 850 aka V850*), or as Canon, Nikon or Sony compatible Ving 860 units (aka V860) with all the associated TTL bits and bobs. The two links immediately above are for the original Flash Havoc reviews (which still apply for everything apart from remote functions). Newer, version II units have radio receivers built in (as do newer versions of many of the other Godox ranges of lighting units). Older versions, like mine, take a clip-on receiver unit. For the nitty gritty on the new V850II Ving, go here. 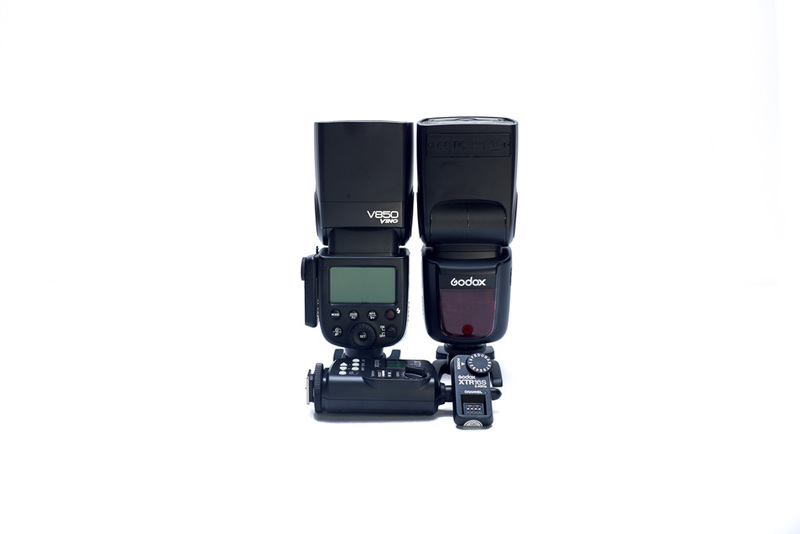 The Godox page for the V850II Ving is here. Anyway, it is these V850 series speedlite flashes and remotely adjusting / triggering them that I will address in the next post. * technically, I think it might be “Godox V850 Ving,” etc. However, depending on whether you are looking at the website or an actual unit, it could also be “Godox Ving V850” etc.